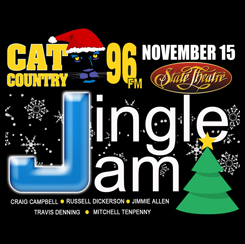 Tonight’s CAT Country Jingle Jam has been cancelled due to inclement weather. The show will not be rescheduled. Information on refunds and exchanges will be sent as soon as possible.